Lasts 6X Longer: Double-braided nylon exterior, toughened aramid fiber core and laser-welded connectors equip PowerLine+ with superior toughness from end-to-end. Supreme Compatibility: Tested in-house with countless USB-C devices; proven to provide a fully compatible, secure and reliable fit. 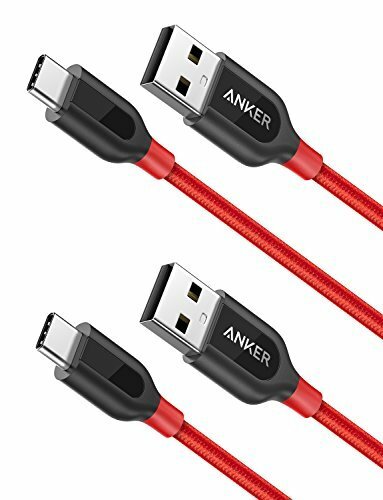 What You Get: 2 x Anker PowerLine+ C to USB 2.0 (3ft including both ends), our worry-free LIFETIME WARRANTY and friendly customer service.